All german movies I watched. Nick, a hedonistic bachelor, falls for an escaped mental patient. An employee at a professional separation agency, a business that helps couples break up, Paul tries to tackle the problems that come with Toto, the boyfriend of a customer, while he has his own thinking to do about love and relationships. Saw this movie tonight in our local preview sneak - i have to say i'm a German citizen and not (really NOT) fond of our native movies, specifically comedies...but this movie was fun, really fun! The story follows Fred, who is engaged and not fully accepted by his lover's son. To win his friendship he has to get him the ball of the game from the Berlin basketball teal Alba. The clue is: only handicapped persons are given the game ball. To what leads this? Fred takes a wheel chair and is faking a handicap to win the ball and with it his lover's son's respect. 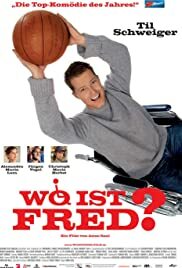 The movie could be described as a German Farrelly like movie, as for the jokes pointed at handicapped persons...but these jokes are not insulting, they're really funny. As is the whole movie. And the best thing is....it has Alexandra Maria Lara in it!!! To tell you something: Lara looks sinfully good in this picture, she is astonishingly beautiful. What's left to say is, that if you like to have some 90minutes of fun, watch this picture - it's the best German comedy in years (and don't mind Til Schweiger, he is not that bad either)!